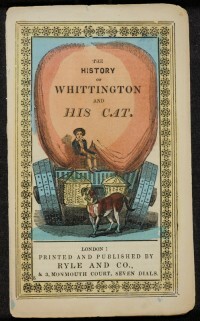 “ Oh, I like him best in the beginning, mother,” said Charley, with kindled enthusiasm. “ Yes, mother,” he replied, glancing ruefully at his Arithmetic. In summary: STRIVE FOR GREATNESS! BE A HERO! CONQUER EVERYTHING IN YOU PATH, EVEN IF IT’S MATH HOMEWORK! From The Norwood Gipsy’s Fortune Teller, published by W. S. Fortey and housed in our Children’s Collection of chapbooks, comes a set of helpful tips for procuring long-lasting romantic happiness. Examples include how to choose a husband by the colour of his hair, various methods to have your true love appear to you in a dream, and a particularly violent and smelly way to determine whether your crush is meant for you. Eat your heart out, Seventeen Magazine. DIRECTIONS TO CHOOSE A HUSBAND BY THE COLOUR OF HIS HAIR. Black.—Stout and healthy, but apt to be cross and surly; if very black and smooth, and a large quantity, will be fond of where he fixes his attachment, not addicted to jilting, make a good husband and take care of his family; but if short and curly, be of an unsettled temper, given to drinking, somewhat quarrelsome, will shew much fondness at first paying his addresses, but be unsteady and forgetful afterwards. White or Fair.—Will be of a weak constitution, rather stupid, very fond of music, will cut no great figure in the world, very moderate in his wishes, but will be the father of a large family. Yellow. — Inclinable to jealousy. 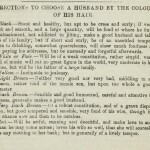 Dark Brown.—Sensible and good humoured, careful and attentive to business, generally makes a good husband. 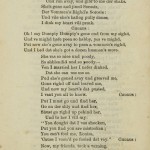 Very Dark Brown.—Of a robust constitution, and of a grave disposition, but good tempered and sensible, very fond of his wife, though he may chance now and then to be careless. 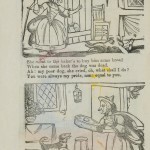 Red.—Will be artful, cunning and deceitful, and make love to any woman he may come across; loves his wife so well, that she will scarcely have any clothing to her back; but is generally of a lively temper. 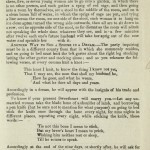 TO SEE A FUTURE HUSBAND.—On Midsummer eve, just at sunset, three, five, or seven young women are to go into a garden, in which there is no other person, and each gather a sprig of red sage, and then going into a room by themselves, set a stool in the middle of the room, and on it a clean bason full of water, in which the sprigs of sage are put, and tying a line across the room, on one side of the stool, each woman is to hang on it a clean apron turned the wrong side outwards, then all are to sit down in a row, on the opposite side of the stool, as far distant as the room will admit not speaking the whole time, whatever they see, and in a few minutes after twelve each one’s future husband will take her sprig out of the rose water and sprinkle her with it. Accordingly in a dream, he will appear with the insignia of his trade and profession. Till he comes to speak. Accordingly at the end of the nine days, or shortly after, he will ask for something to put to a wound he will have met with during the time you were charming him. 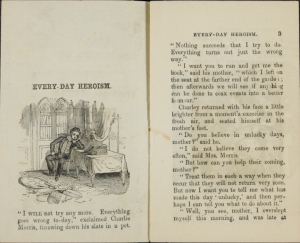 To know whether a Woman will hove the Man she wishes.—Get two lemon peels, wear them all day, one in each pocket; at night rub the four posts of the bedstead with them. If she is to suucceed the person will appear to her whilst asleep, and present her with a couple of lemons; if not, there is no hope. For more, be sure to see the interpretation of symbols in dreams in The Universal Dreamer. Looking for the right thing to say? 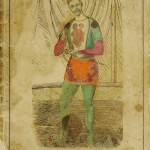 These stories of love and loss are found in The Clown’s Song Book (published by the Torrey Brothers of 13 Spruce-Street, New York), found in the Sheila R. Bourke Collection of chapbooks. When You and I were Young, Maggie. As we used to, long ago. 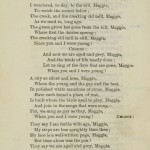 Let us sing of the days that are gone, Maggie. When you and I were young ! But time alone was the pen ! My vife’s she’s vent und gone, Und run avay, und giftf to me der shake. Und vile she’s hafing pully dimes, I dink my heart vill preak. Put now she’s gone avay to peen a vommen’s righd, Und I bed dat she’s got a dozen husman’s more. Ven I married her I nefer dinked, Dat she can use me so. Und now my heart’s dat pusted, I vant you all to know. Dem vommens dem is all alike, Und I ped you dad its drue. Dey vill bead you if dey got a shance, Und go vay und shook you, too. As I work through the chapbooks collection as a digitizer, I earmark things that I’d like to learn more about. 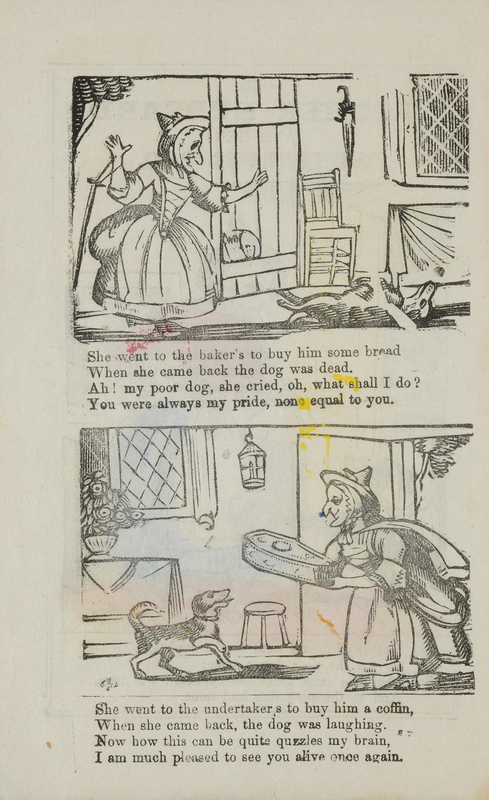 This one is an interesting example, not only of a classic children’s tale (which, not being part of my childhood, I didn’t know had such a morbid undercurrent of grief-inflicted mental breakdown) in chapbook style, but of the kind of illustration work provided to items like this. The engravings are good, but the colouring seems to have been hand-applied, possibly in an assembly-line process that doesn’t seem to allow for much precision. 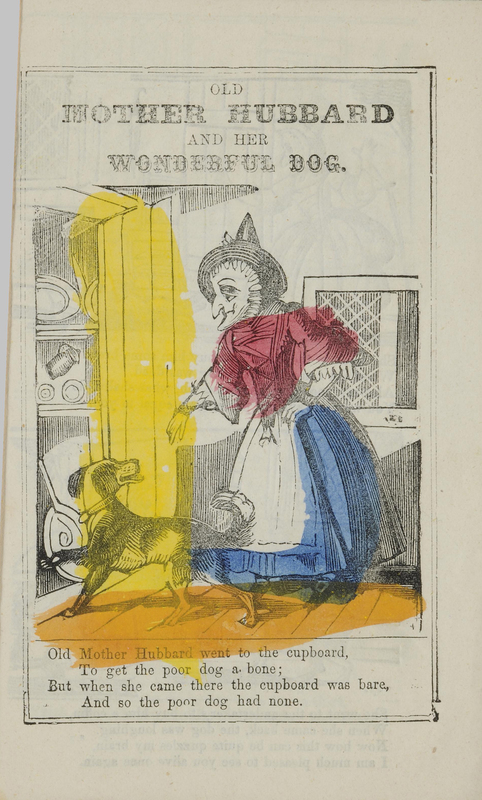 I really want to isolate the dog in the first illustration, just to highlight the random intersections of blue, yellow, and orange. 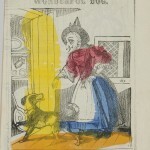 You can see more of Old Mother Hubbard And Her Wonderful Dog in the Children’s Collection in Rare Books and Special Collections. 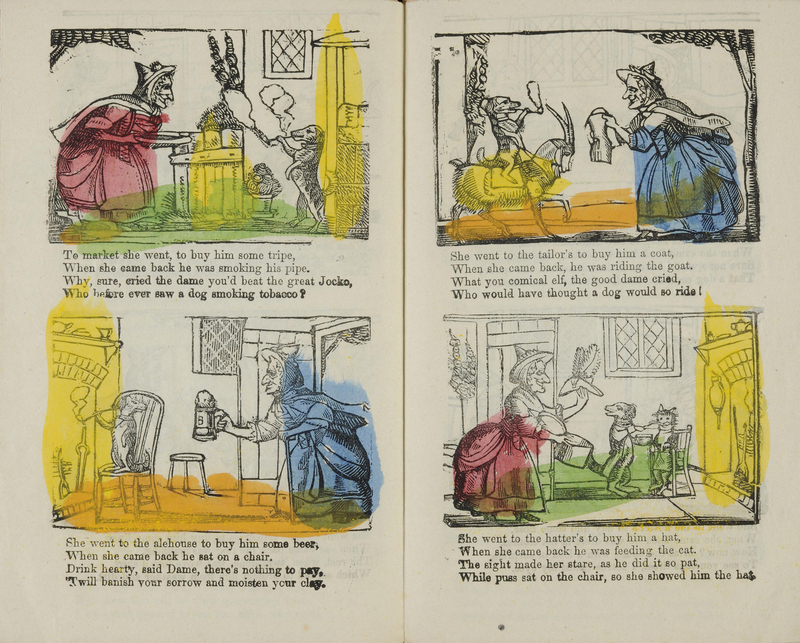 If you know anything about the printing and colouring processes for books like this, feel free to share. 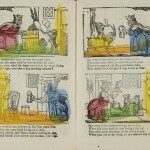 You can find a similar colouring technique (applied with much greater precision) in Jack The Giant Killer — and woodcuts suspiciously similar to Old Mother Hubbard’s distinctive features in Old Dame Trot.